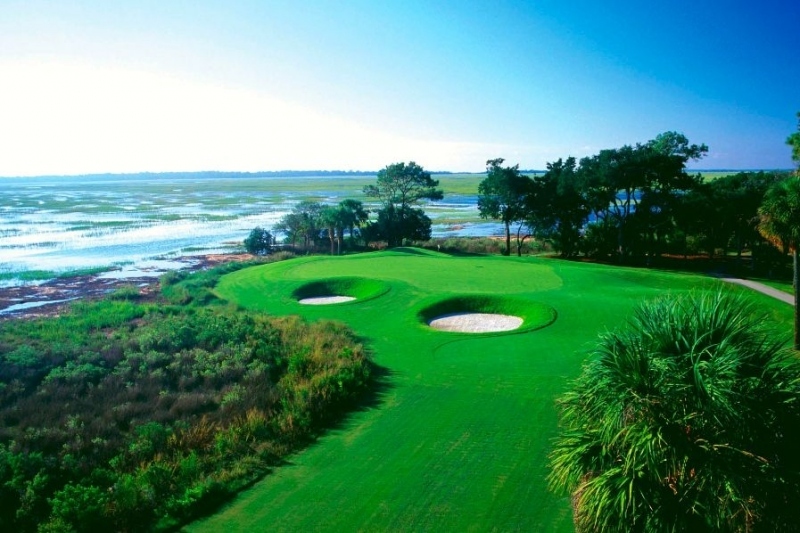 The Landings on Skidaway Island is an active lifestyle community in Savannah, Georgia. Open to residents of all ages, The Landings on Skidaway Island offers scenic living on the Intracoastal Waterway in Savannah, Georgia. This gated community features private living with an impressive array of indoor and outdoor amenities, including six championship golf courses and several neighborhood clubhouses. Its prime location also puts residents within easy reach of shops, restaurants, banks, gas stations and other daily conveniences. Construction of The Landings on Skidaway Island began in 1970 with plans for 4,422 homes. Today, the community includes eight distinct neighborhoods: Marshwood, Plantation, Franklin Creek, Midpoint, Oakridge, Deer Creek, Marshview and Moon River. Homes throughout the community were designed by multiple builders, while homesites feature many different views, including wooded, river, golf course, marsh, island and waterfront views. Amenities throughout The Landings on Skidaway Island support luxurious, resort-style living. 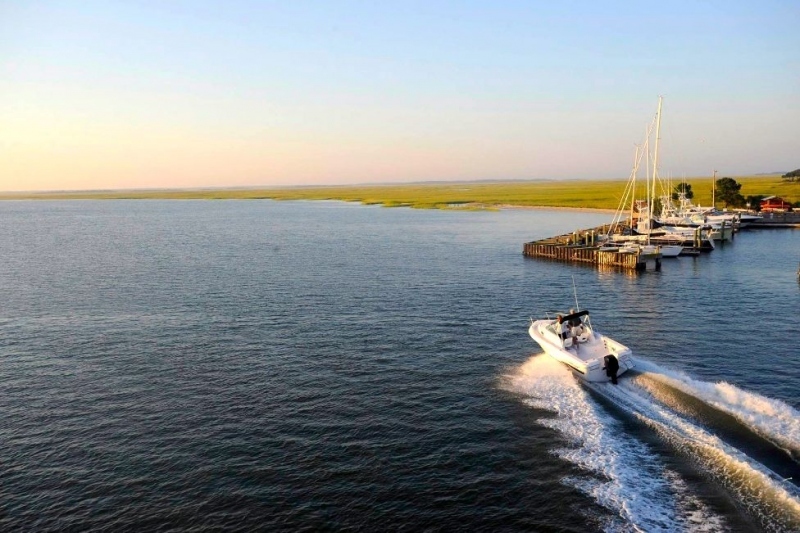 There are four clubhouses and restaurants, indoor and outdoor swimming pools, six 18-hole golf courses, dozens of sports courts, two marinas and 40 miles of walking and biking trails. At the Oakridge Fitness & Wellness Center, residents can make use of cardiovascular and strength-training equipment, an aerobics and dance studio, two indoor pools, a Pilates and spin bike studio, steam rooms and an outdoor pool and spa area. Multiple restaurants and cafes offer on-site dining, while spacious ballrooms and meeting rooms provide an ideal setting for a variety of social events. Other amenities include scenic lagoons, picnic areas, pavilions and gazebos, a dog park and a playground for visiting grandchildren. Six championship golf courses offer a multitude of recreational opportunities for homeowners to enjoy. Memberships are required to access community amenities, yet residents can choose from several different levels of membership. The most basic membership offers access to restaurants and social events, as well as the Marshwood pool, while a full membership lets residents also enjoy access to all clubhouse amenities and golf courses. The Landings on Skidaway Island's resale homes include both attached and single-family designs. Homes in each neighborhood reflect distinct styles, such as island-style homes in Marshwood and two-story homes with stucco facades in Oakridge. There are many low-maintenance homes throughout the community and the homeowners' association fees include gated security, landscaping and the upkeep of common areas. Attached homes range in size from 1,700 to just over 2,000 square feet. They typically include two to four bedrooms, two to four bathrooms and one-car garages or carports. Single-family homes generally include floor plans ranging from 1,500 to nearly 5,000 square feet. They may feature two to five bedrooms, two to six bathrooms and two-car garages. Homebuyers can also choose from available homesites for custom-built homes. With beautiful homes, impressive amenities and a scenic setting, The Landings on Skidaway Island is an open-age community which offers a fabulous retreat for active adult retirees.